We have a variety of heritage breed pullets, all about 14-16 weeks of age for sale. Most will begin to lay eggs within the next 4-6 weeks. $20 each. Limited delivery along Route 2 to Montpelier. 1. 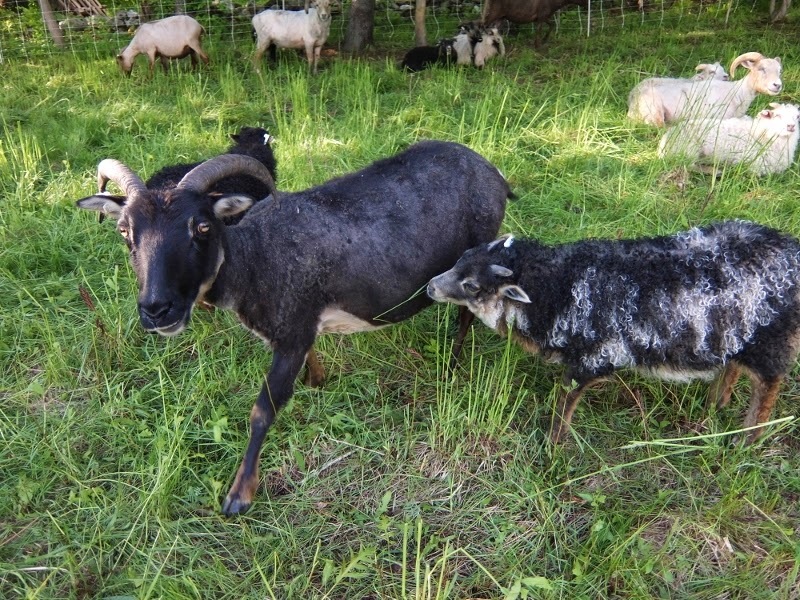 He confronts the ram if the ram chases the pregnant ewes and gets him to stop it. 2. He keeps the pigs from pushing at the fence at feeding time...generally keeps them from testing the fence too exuberantly. 3. He keeps the larger sow from eating our two younger gilt's food and generally ensures that the pigs each pursue their own food. It's amazing to watch him work at even such a young age. He understands many basic obedience commands, not the least of which is "come", "off", "get down", "sit" (well sort of). Additionally, he is learning "settle", "stand", "all's well", "jump", "come in" as it relates to the farm work. Processing the sheep's hides when they come off the animal is a multi-step process. It's a messy job, one that requires fortitude, commitment and perseverance. Late fall is the time of slaughter. Many folks don't bother with the hides because it is a lot of work. 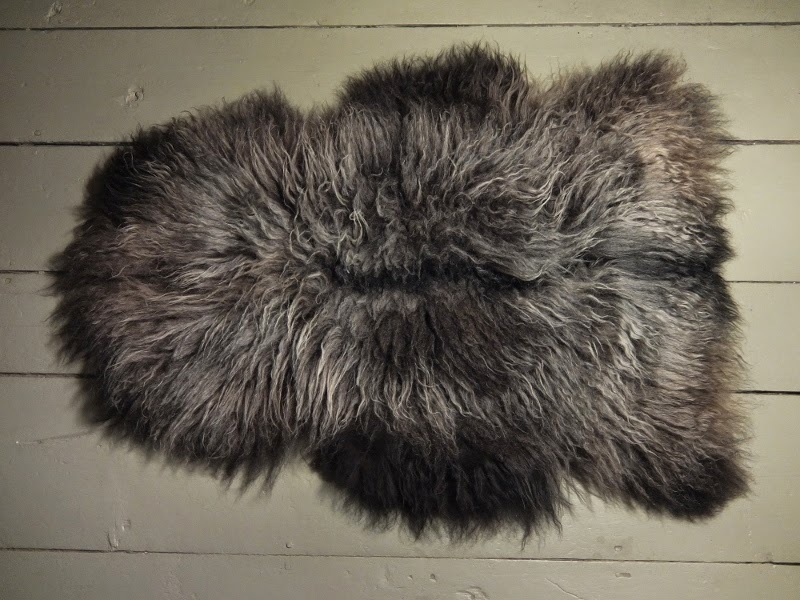 But, once process, Icelandic sheepskin pelts are incredibly gorgeous and luxurious and they make a fine value added product for the farm. This year we had 35 animals processed between our wholesale and retail business. Most slaughterhouses will give you the skins if you ask for them, but it often does require an additional trip to the processor to pick them up. Ask your facility, perhaps they can freeze them and hold them for you. Some slaughterhouses will actually salt them for you, but you'll still need to let them dry a bit before shipping them off. We typically make the extra trip down to pick up horns (a post for another day!) and hides. Once we get them home, we scrape them and trim the fat. We cut and trim the neck and crotch where they need evening out. Then each pelt is salted by hand with copious amounts of fine salt which can be obtained in 50lb bags from your local feed store. Then the pelts are hung to drip dry. The fleeces are filled with blood from the slaughter. The salt preserves the skin of the hide, preventing rot. It also prevents the terrible odor associated with decaying biological material. Salting the pelts is necessary in order to get them to a tannery for tanning. Once the hides have hung for a few weeks, they should be sufficiently dry to mail out, which is no small task. We typically role them skin in and pack them in plastic bags before packing them in boxes 3-5 pelts per box, which weigh about 15-20 lbs. It's about $20 to ship three Icelandic pelts USPS. There are a few processing facilities that will handle Icelandic sheep skins because of their dual coat and exceptionally long staple length. We use Bucks County Fur Products in Pennsylvania. The cost ranges from $50-70 per pelt for processing, plus you'll have a several hundred dollars in shipping if you are working with 35 pelts like we did this year. The turn around time seems to be pretty consistently around 16 weeks. So if you want pelt for the holidays, you've got to get them into the pipeline and plan on carrying over some for the next holiday season. At the end of it all, you'll have a beautiful product that your customer will love and enjoy for years to come. 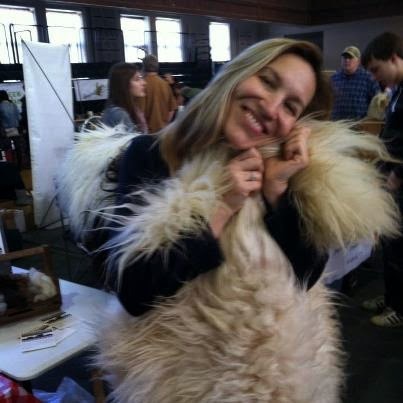 We regularly have customers come back to us at the farmer's market and tell us how much they love their pelt. 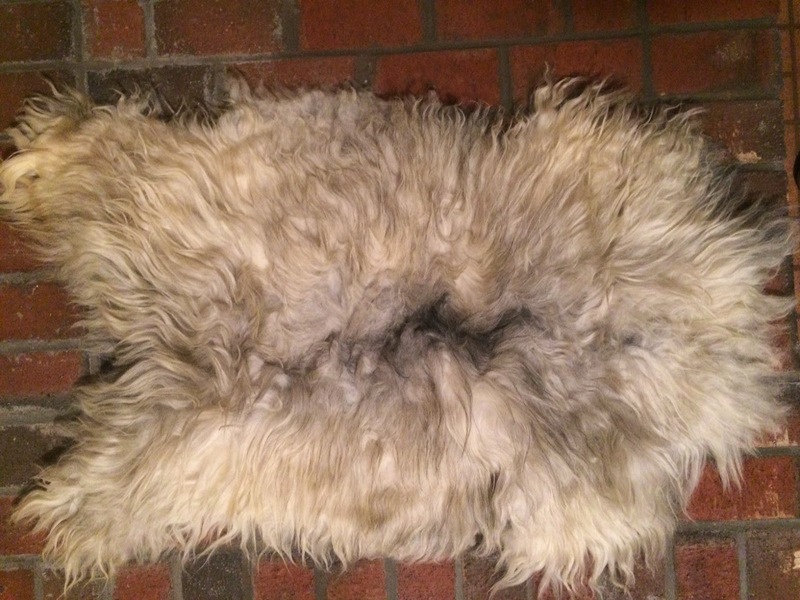 Click here to see our Icelandic sheepskin pelts for sale: Icelandic Sheepskins. 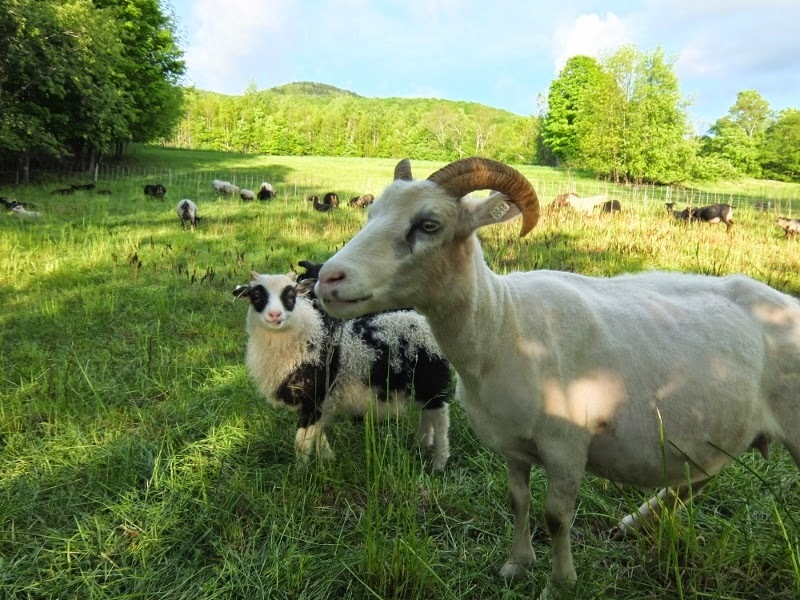 STARK HOLLOW FARM RELOCATES TO BEAUTIFUL DANVILLE, VERMONT! 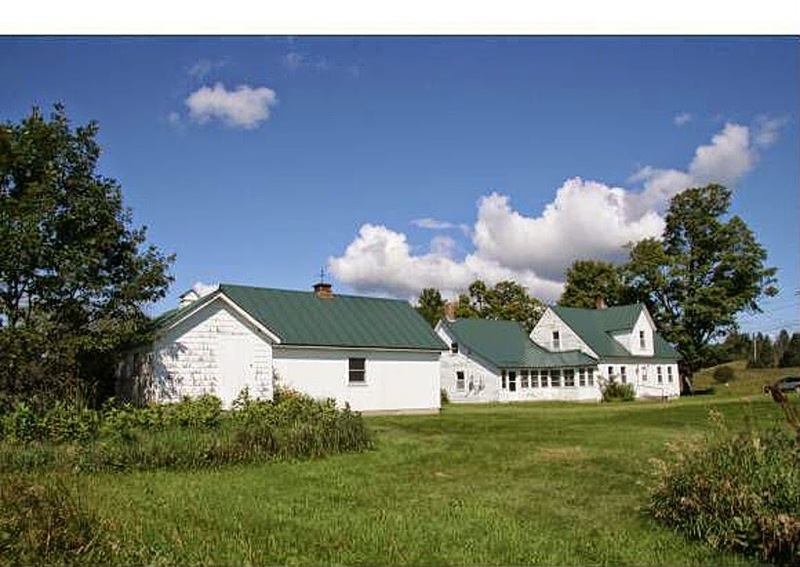 After a rigorous search for land that would meet the growing needs of our farm, we finally located a gorgeous piece of property with a beautiful 1820's farm house and 78 acres of open fields and woodland in Danville, VT. 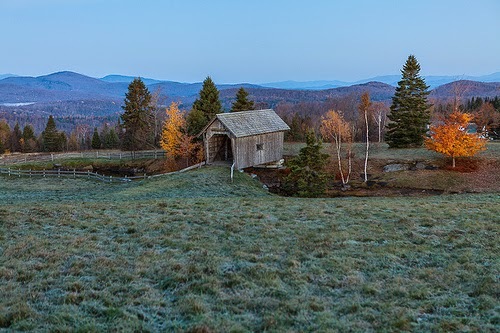 Known as "the village in the hills" Danville is located in the southern tip of Vermont's Northeast Kingdom and is a gateway community to New Hampshire's white mountains and the rolling green mountains of Vermont. 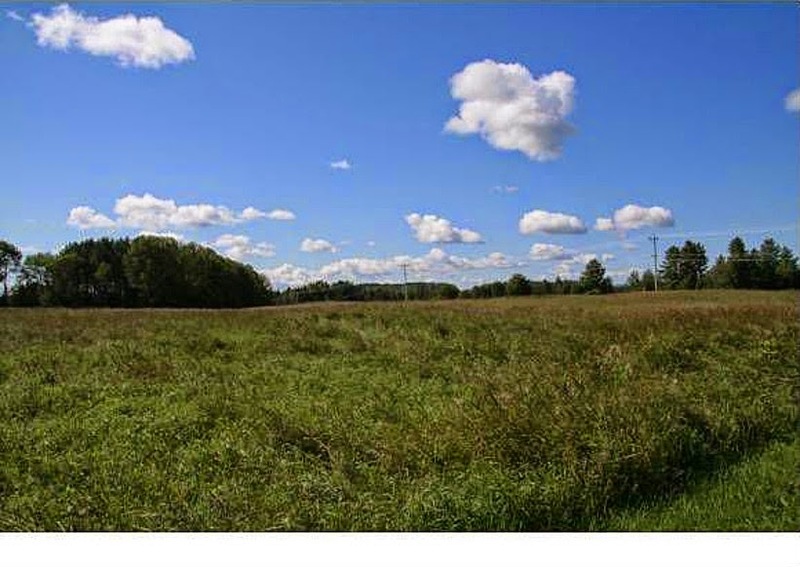 Joe's Pond (called Sozap Nebees by the Abenaki), located in West Danville draws many tourists and Route 2 offers a corridor into Vermont that many folks travel to visit our beautiful state. 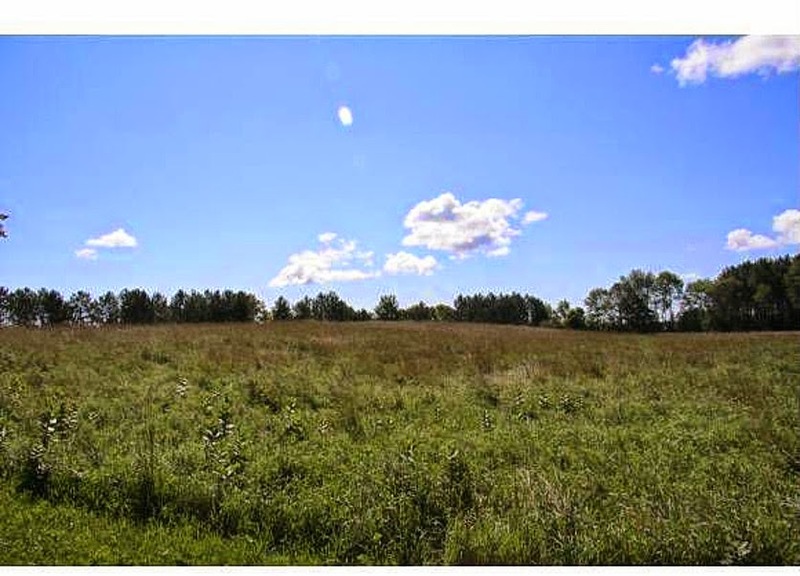 There are many resources for agriculture in the area and the farm is strategically located near the I-91 corridor giving us easy access to markets south, such as Boston. 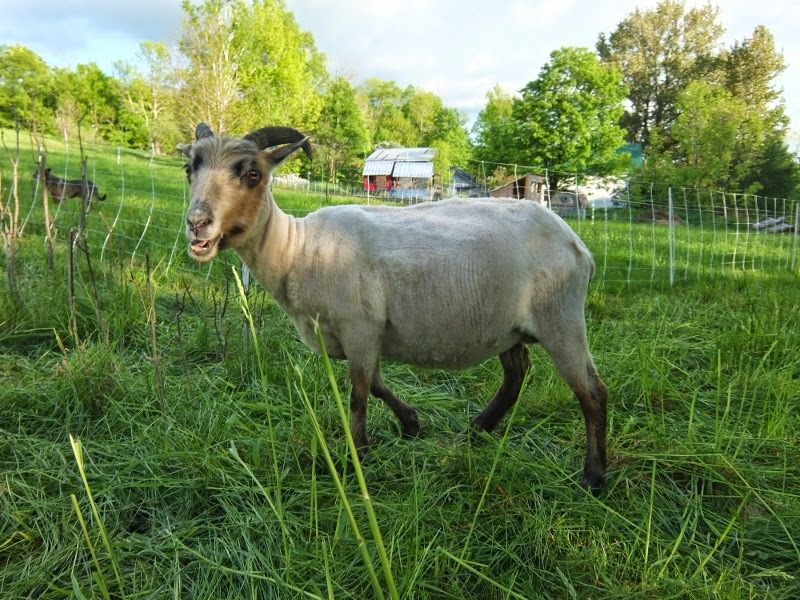 We will continue to be participate in the Burlington Winter Farmer's Market and will soon be offering a meat lovers CSA. 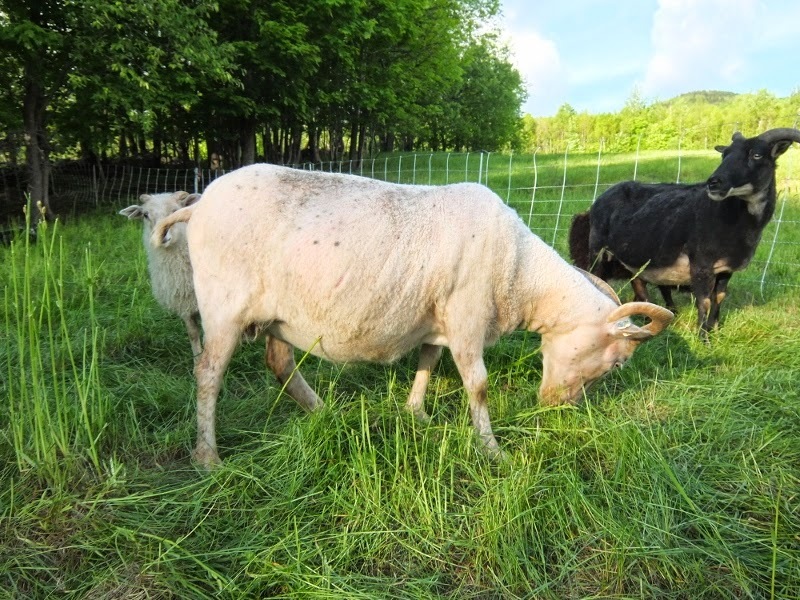 We have many current customers from Chittenden and Addison counties who are asking for bulk purchases to stock up on our delicious forest raised pork and 100% grass fed Icelandic lamb. We will continue to provide bulk orders for our customers on the eastern side of the state who have come to know and love our products. Stay tuned for more info on our new CSA program. The property has a history as a dairy barn in the 1940's. The original dairy barn, which was attached to the house is gone with only the milk house remaining. 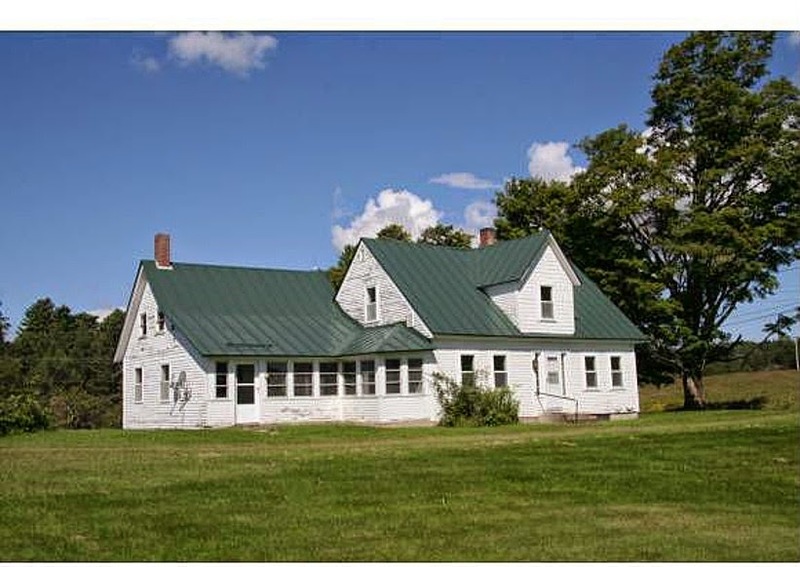 We plan to convert the milk house into a small farm stand and we have signed a contract with a timber frame builder and will be building a barn on the property this fall to house the sheep and farrow our sows in the winter months. There is a small, well maintained apple orchard on the property with a mixed variety of heirloom apples which the piggies are just starting to enjoy. We're excited about the possibilities and future of the farm as we continue to grow and diversify. We appreciate all of the support and well wishes we have received and look forward to continuing to share the journey with you all. 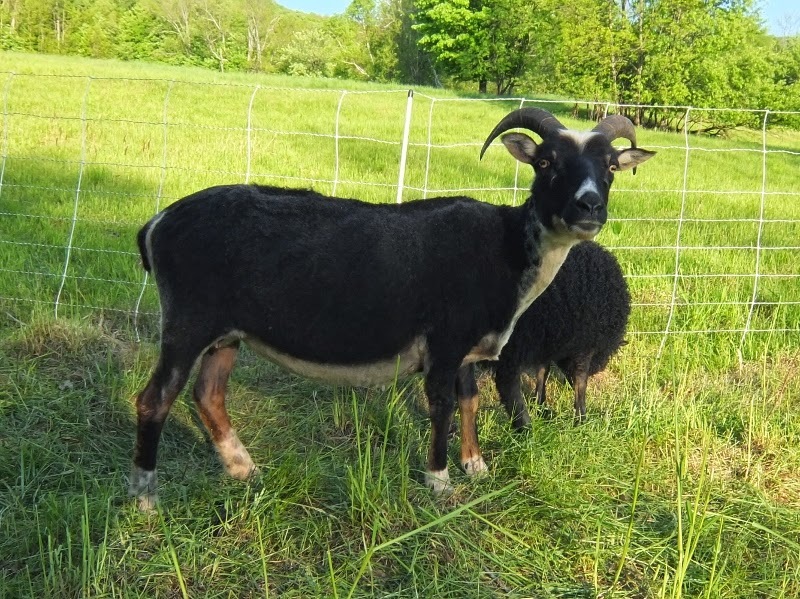 If you are a customer of ours and want to purchase some meats for the upcoming winter season, please contact us directly with your order Contact Stark Hollow Farm. We will be traveling to Chittenden Country over the next few weeks as we continue the move and can make arrangements with you to deliver or meet you somewhere. We'll also be able to bring orders in to the Burlington Winter Market which starts up in November. 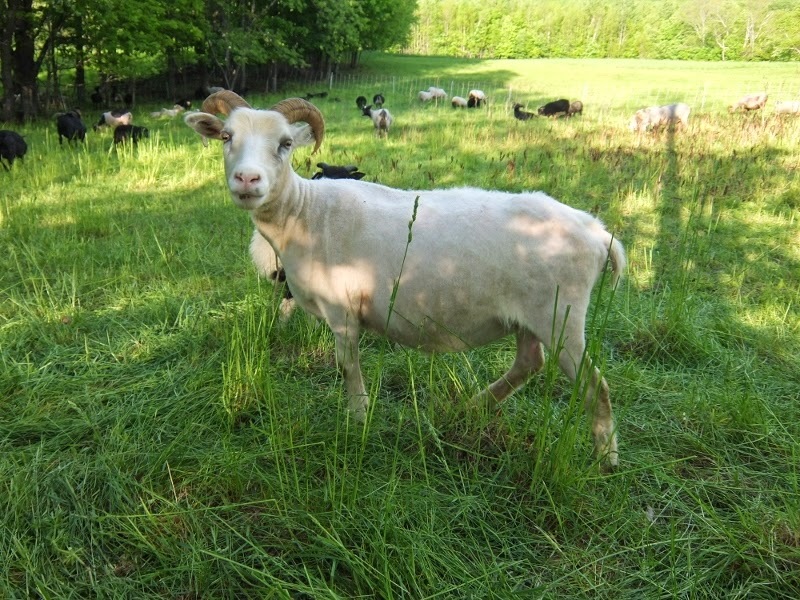 Check out our website to see what is available: Stark Hollow Farm Meats. Two of these meaty and healthy Tamworth feeder piglets just went off to their new home in Charlotte, Vermont. They're shown here at 4 weeks (sent off at 8 weeks). 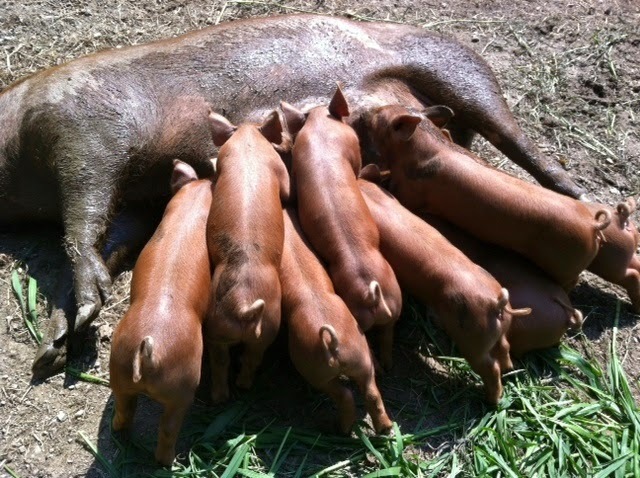 Stark Hollow Farm is currently taking orders for spring piglets. 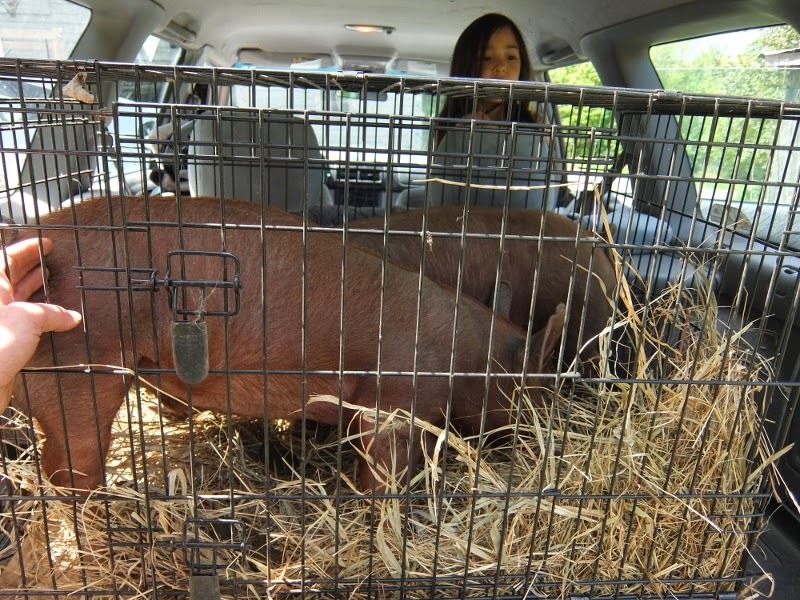 Two sets of 8 week old Stark Hollow Farm Tamworth feeder piglets are off to their new homes. One, a happy return customer from the Intervale in Burlington, Vermont and the other, a new customer from Richmond, Vermont. Another shearing day complete here at Stark Hollow Farm in Vermont! Together with our shearer, the job was complete in about 3 hours. Many of our Icelandics were starting to "roo", which is a term that describes the way that the fleece is naturally shed by the animals. 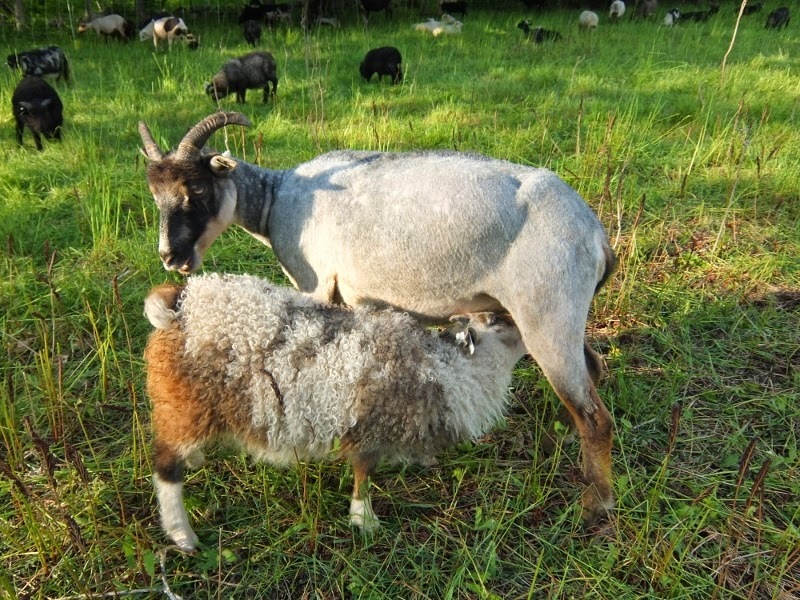 We love shearing day because it is a chance to see how the ewes, especially the lactating ewes are doing coming off winter. 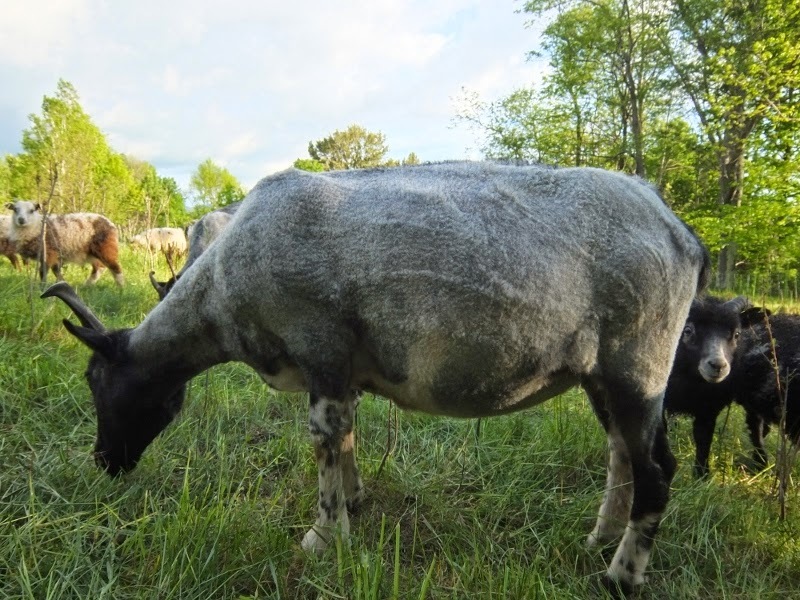 Our animals are 100% grass fed with no commercial or customer grain mixtures used. This means their condition at the time of lactation is their lowest of the year, and yet as you can see from these photos, the girls look great! 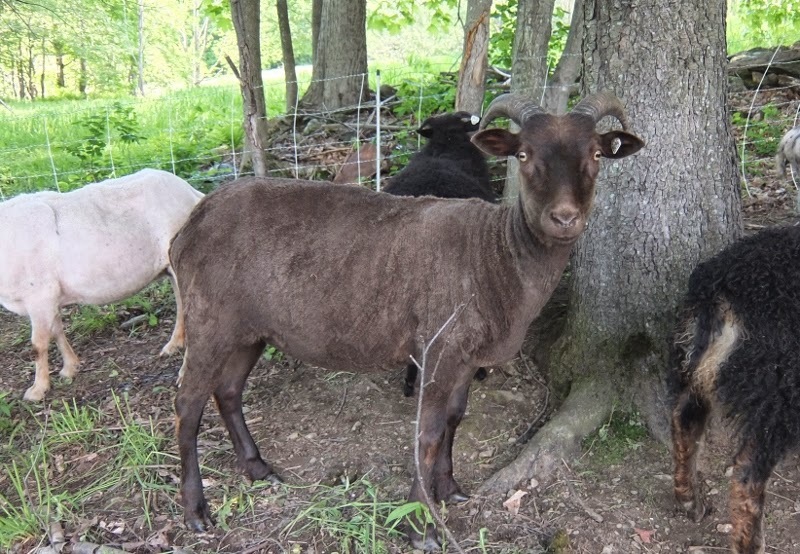 Visit Stark Hollow Farm's Website to meet our flock and for all our great farm products. 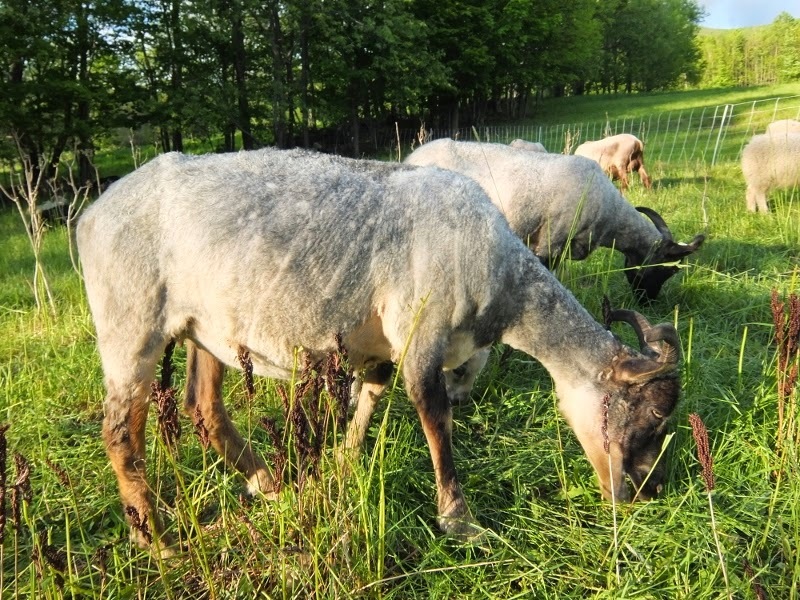 Delicious forest raised pork products and 100% grass fed lamb...buy direct from the farm or limited delivery to Chittenden County and Washington County. Contact us for details. Copyright Stark Hollow Farm 2010. Watermark theme. Powered by Blogger.